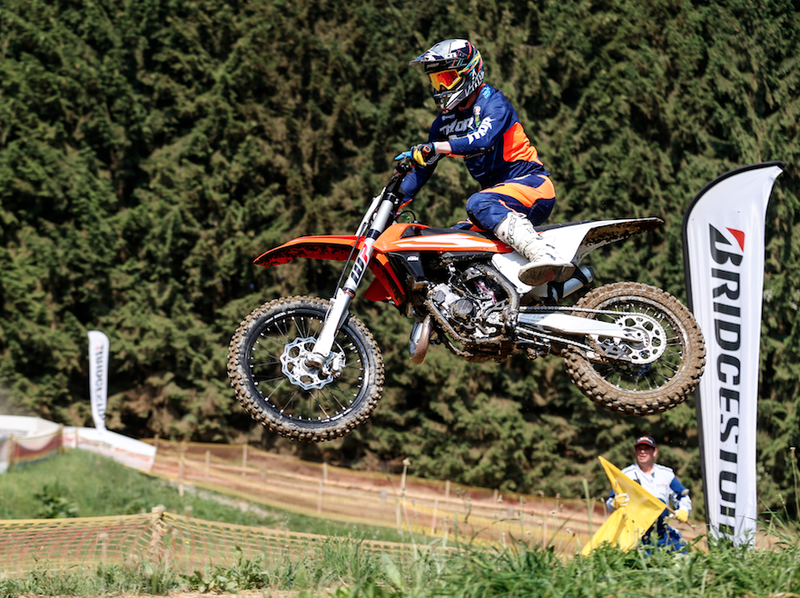 With Bridgestone launching its brand new range of Battlecross MX tyres in Austria earlier this week we got former British youth champ and ex-pro rider Ed Allingham suited and booted and fired him across to the Red Bull Ring. ‘I’ve done loads of behind-the-scenes testing for various teams during my time racing so I’d like to think I have enough experience and still ride with enough speed to give Bridgestone’s new rubber a bloody good evaluation. 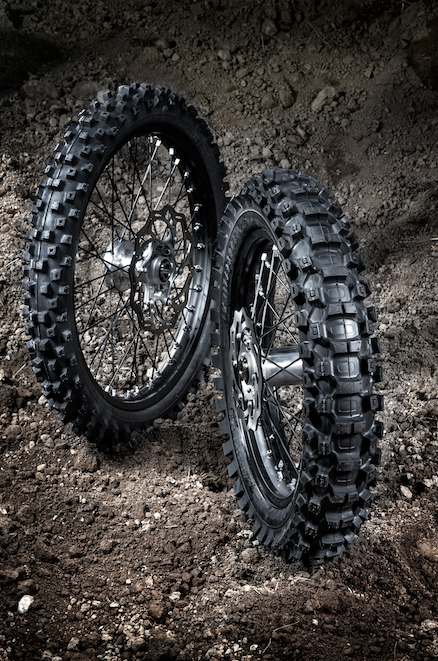 ‘When I started racing Bridgestone was at the top of its game in the motocross world and it was my rubber of choice for a good few years so I had a benchmark to measure the Battlecross tyres against. 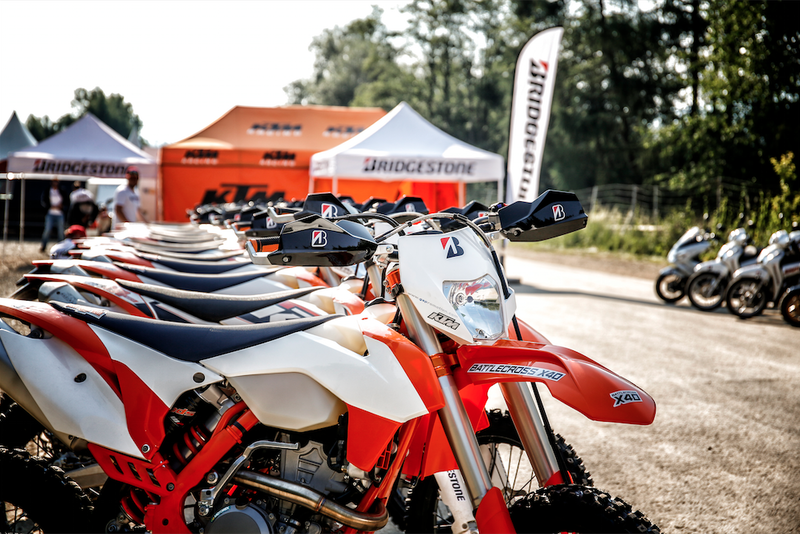 KTM laid on the hardware and we had everything from SX125s through to enduro machines to make the test as comprehensive as possible. ‘On the enduro circuit it was working really well on the dry and dusty parts of the track. I reckon it was maybe a little hard for tree roots and didn’t collapse around them the way I’d have liked it to but if I was racing motocross in southern Spain or on a super-hardpack track in the UK this would be my rubber of choice. ‘Next up was the X30 which is Bridgestone’s intermediate tyre and, frankly, it was the nuts. The front stuck like glue on all areas of the track – you really had to be on the brakes hard mid-turn to get the front to break traction and when I let the brake off it found grip again immediately. ‘The X30 rear provided a great sense of feel and it was easy to gauge the grip on the flat fast turns and control it on the throttle without that fear of it breaking traction – it even gripped when it was sliding. It provides great forward driving force and cleaned itself In the wet and muddy parts of the track regardless of the bike capacity. ‘Last up was the X20, a more intermediate to soft tyre. The front was perfect for the sort of change-of-terrain type track that can be soft, loose, wet and shiny. It tracked perfectly and didn’t try to break free through soft, loamy sections which was great for my confidence – I felt and could turn super-hard with no fear of the front tucking. ‘On harder sections it was maybe a little on the soft side although when it did start to slide it still provided enough traction to not completely break loose. The side grip was unreal and it would turn up out of a rut without feeling like the front was going to push or wash out. 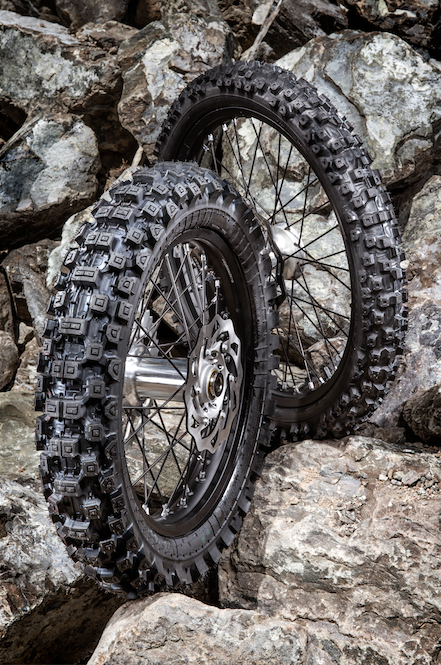 This tyre is a great choice for softer type terrain and if you’re a rider that likes to steer the bike from the rear it’s a good choice on intermediate tracks too. ‘The X20 rear was pretty hard to find fault with. It was great at cleaning itself and tracked lovely through ruts and flat turns. On harder flat turns it did push a little too much for my liking but that’s a personal thing. 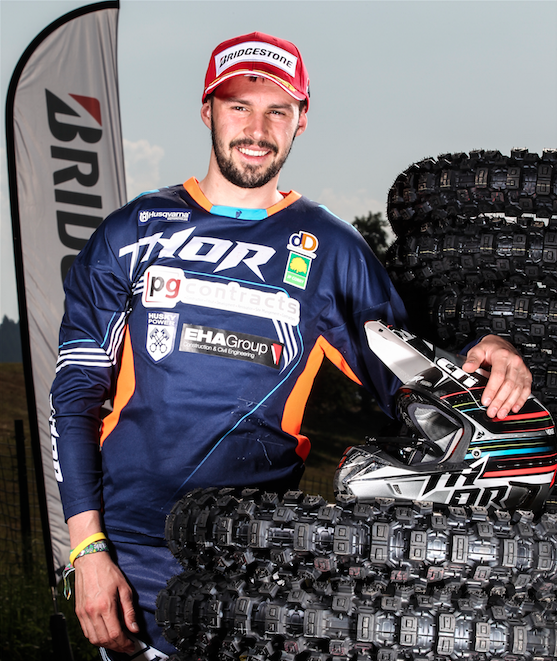 ‘In the enduro sections it tracked perfectly straight over logs, tyres and tree roots. It was superb at finding grip on the hills – where I reckoned any tyre would struggle it bit and worked well over roots and stones. On softer sections and slippy parts the X20 rear was the best of the bunch. You can expect to pay around £95 for a set of these tyres, which you’ll be able to find at your nearest Bridgestone tyre outlet, or by clicking this link.